Action Figure Insider • View topic - DCUC Original JSA : Who do you want the most? THIS is the group that I've wanted to see done in plastic form my whole life. And I want them ALL. Including Johnny Thunder and Ma Hunkle. My first choice was GL, but switched to Dr. Mid-nite! i gotta say Alan Scott. i dont know why, but i thought he would look good. While I would love to get figures of all of them, I think I'd be most excited to get Wildcat first. I've always really like Wildcat and I think he would be nice looking figure. I'm with Mike on this. 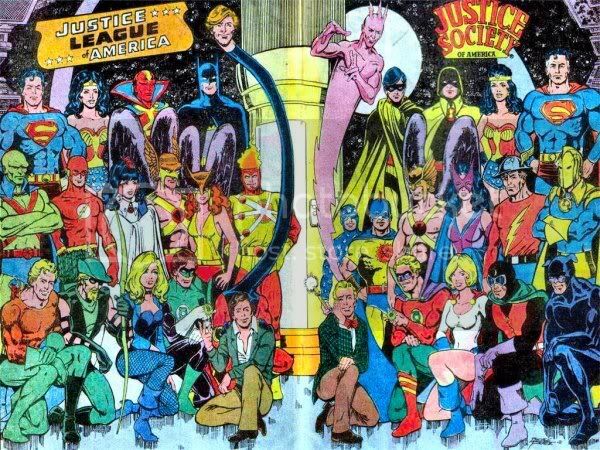 I totally want the JSA/JLA in this photo. I am so with you on everyone in this photo. I would get all of them!!! Especially Johnny Thunder! I'm really hoping for that line-up too. So many good characters...but if I only had to pick ONE (which is close to impossible) I'd pick Wildcat, with a close second by Dr. Fate, mostly because of the Super Powers line. 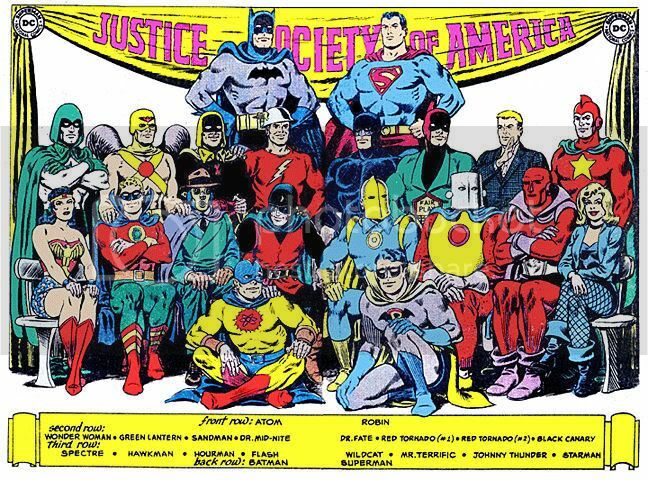 A small poll like this is tough, since pretty much every JLA & JSA character deserves to be done. 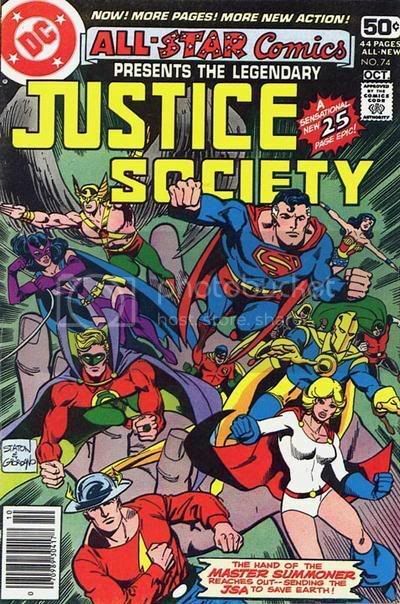 Mattel would almost have to do a separate JLA- or JSA-only line to get everyone made. I hope we at least get the major players. I want both GA Flash and GA Green Lantern, So while I won't be voting.. HEAR MY WISHES MATTEL! I want a Dr. Fate figure!